Contrary to popular belief, all ancestry DNA testing companies are not the same. Even the best of them put stronger accents on different areas of service. iGENEA and Family Tree DNA are among the top-ranked ancestry DNA testing providers on the market, but one will always be a better choice, depending on your particular needs. You should primarily identify the most important thing you'd like to "take away" from the experience of ancestry exploration and our comparative outline will take care of the rest. Take a look at some key differences between iGENEA and Family Tree DNA and the best course of action will be more than clear. 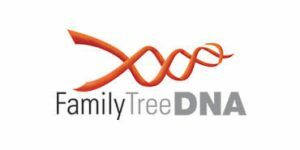 Family Tree DNA is a clear-cut winner for anyone aiming at far-reaching research. The abundance of tests and bundled packages - alongside innovative tools and a widespread community - offers in-depth ancestry insights and relative-matching possibilities. Learn all about the service in our comprehensive Family Tree DNA review.